In its inception in 1914, this club was an active marine club with a viable pier, boat dock and a boat house(which was destroyed by fire set by arsonists on July 20, 1992 and is currently in the process of being rebuilt). 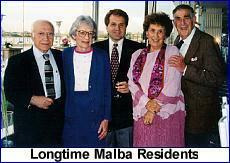 Many Malba residents moored their private yachts and enjoyed sailing the North Shore of Long Island. 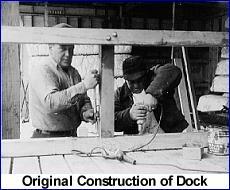 The marina was a $20,000 do-it-yourself project and the only privately owned, non-commercial marina. Vincent DeOrchis, president of the Malba Field & Marine Club, who was a maritime lawyer, drew up agreements and the financing. Architect Ingram Carter drew up the plans of the marina. Ed Reilly loaned his College Point yard and later trucks to transport floats to the site. Michael Canosa, roofing contractor, handled the lumber and wood-preserving details. 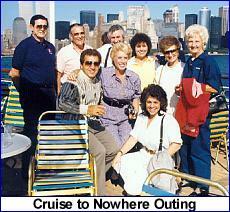 The end results could accommodate nine cruisers and fifteen outboards. Today, The Malba Field & Marine Club is still listed in the register of American Yacht Clubs but has taken a land-locked social position. 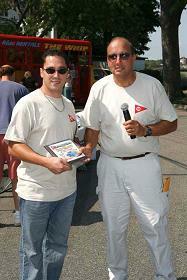 Its members continue to enjoy exchange privileges with 100's of other yacht clubs worldwide. 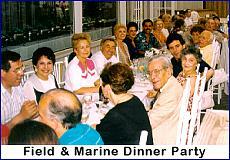 The Field & Marine Club members meet on the second Tuesday of every month at 7 p. m. at Pier 25A Restaurant on Northern Boulevard. All male Malba residents and guests are invited to attend the meetings and invited to join the club which has annual dues of $50. 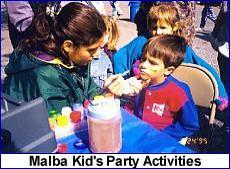 Checks can be made out to Malba Field & Marine Club, Inc. c/o Henry Wolf 43 Boulevard. The purpose of the club is to promote comradeship between the men, provide beneficial information regarding male health issues and life styles, support, maintain and print the Malba News & Views. (A periodical distributed monthly which prints community issues and affairs.) 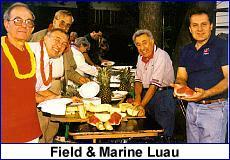 The Field & Marine Club is instrumental in arranging most of the community celebrations. It hosts the Annual Children's Hot Dog Party on the Beach at Boulevard and The Annual Christmas Cocktail Party at the Woman's Club. From time to time it has hosted a St. Patrick's Day Dance, Night at the Races, Overnight Cruise to Nowhere, Hawaiian Luau, Dinner Cruise down the East River, and more. For two years the Malba Field & Marine Club offered a $1,000 scholarship to high school seniors (the two winners were Dorie Kyriakoudes and John Ioannou). It has sponsored "the best decorated house for the holidays" by presenting that family with a basket of cheer. In recent years, the Malba Field & Marine Club has tried to incorporate the wives in some of its dinner meetings by hosting a special Valentine's outing or an end of the year dinner. It has planted evergreens in several common areas and its members have erected the flag pole at the guard triangle. 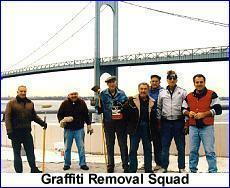 The Field & Marine has been instrumental in cleaning the beach every year and ridding the new pier circle of graffiti. If you see any errors in spelling or chronological order in the list above, please contact us here.